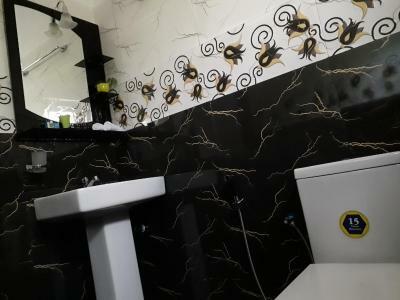 Évaluée par les clients après leur séjour à l'établissement Yaluwa Tourist Rest. Garantissez-vous un super tarif pour l'établissement Yaluwa Tourist Rest. Les clients qui y ont récemment séjourné lui ont donné la note de 9,9.
excellent accueil et entière disponibilité des propriétaires. Chambre très spacieuse et d’une parfaite propreté, dans un environnement luxuriant et au calme. Le dîner et le petit déjeuner étaient tout simplement délicieux, très copieux et savoureux. Nous recommandons cette adresse les yeux fermés! Staying at Yaluwa was a wonderful experience. 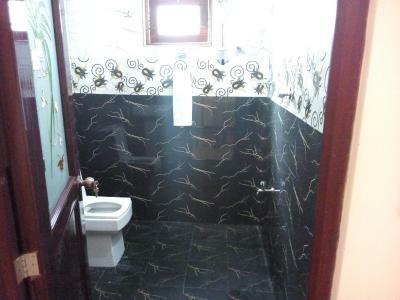 The house was really clean, spacious and cozy, the AC and WiFi worked perfectly. 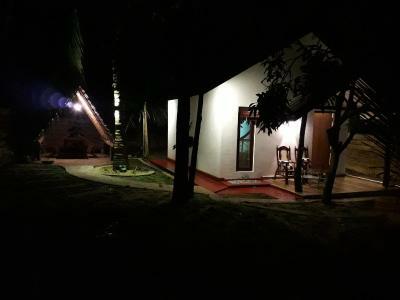 It is located in a quiet area and it has a beautiful garden where we could sit, relax and enjoy the traditional Sri-Lankan breakfast, carefully prepared by the owner. Everything was homemade and delicious! We also chose to have dinner there, which included a huge variety of Sri-Lankan dishes, also really tasty! And, most important of all, the owners were incredibly friendly, they made us feel at home and took very good care of us. They live in the next house and made everything really easy, they picked us up at the train station, offered a tuk-tuk tour and bikes for rent, gave us tips and recommendations of Sri Lanka and made sure we had an amazing time. So far it's been our favorite accommodation in Sri Lanka and we highly recommend it! We also wish them good luck with their new business. 10/10! Great comfy room in a hut. With your own little garden to chill and relax from hot days. Great owners. So Kind and nice. Great dinner and breakfast. Delicious and huge portions at a very good price. The both owners help you with tours, laundry and information. Great place to stay, enjoy the sights and recover from sightseeing. This little gem is a wonderful escape from all the noise of the city. The owners were more than helpful to fullfill our wishes. They offered us the free pickup from the train station. The homecooked dinner was amazing and the portions were huge ;). With the owner we made two trips with his tuktuk - we wouldn't find all these secret places on our own. He even drove us to Mihintale to see the sunset during the ceremony. Definitely worth going. Dear Chaya and Supun sincerely thank you for all hospitality and advices. Would recommend the place and would definitely stay there again!! 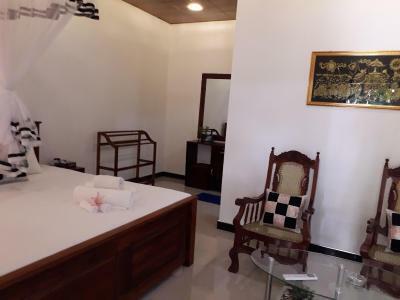 Absolutely wonderful guest house in Anuradhapura, everything was perfect, room was spacy and clean with AC, lady of the house prepared delicious breakfast and dinner, owner of the house was very kind and helpful. So far our best accomodation in Srí Lanka. Best stay in our journey in Sri Lanka, Supun and his wife will do everything for you to have a confortable stay. The room is sparkling clean and brand new, the terrace is nice to relax with confortable chairs. Breakfast and dinner are yummy. We rented bikes to visit Anuradhapura old capital as well as a tour with Supun to go to Mihintale, it was an awesome stay ! 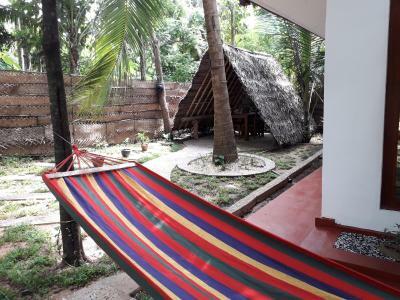 This is an amazing new place to rest from sightseeing in Anuradhapura. Owners are very friendly good people. Comfortable room and fine garden. The breakfast is outstanding. Landlord has a tuk tuk and offers tours. Very good value for money. I highly recommend Yaluwa Tourist Rest! Amazing stay in a dream house. We slept in a little cabin that had just been refurbished and everything was comfortable and completely new. Our hosts were great and we had the best breakfast of all our stay in Sri Lanka with them: delicious homemade food and fresh fruit collected from their own garden. Will definitely repeat if we come back to this country! it is a nice place,help full and frendly service,testy food,all are excellent. Everything was king size! THe bed, the cooking, the owners'kindness.... The bungalow is new large clean and beautiful. On the terrace there is a little pond with fish they will take care of your feet after the visits. The owner has a tuk tuk, he takes you everywhere at a very low price. (free frrom the station to the room on your arrival) Bicycles are also available for free. He gives a lot of good advices. The woman prepares a lot of local food or whatever you want. I really enjoyed my staying in Yaluwa tourist rest!!!! L'un de nos best-sellers à Anurâdhapura ! 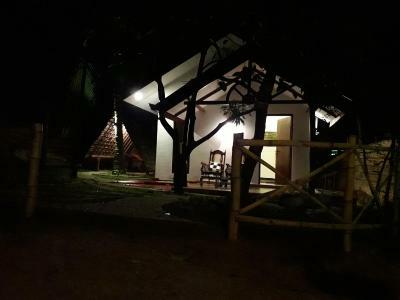 Situated in Anuradhapura, 9 km from Jaya Sri Maha Bodhi, Yaluwa Tourist Rest features a garden. Featuring a 24-hour front desk, this property also provides guests with a terrace. Free WiFi is available. All guest rooms at the hotel come with a seating area. 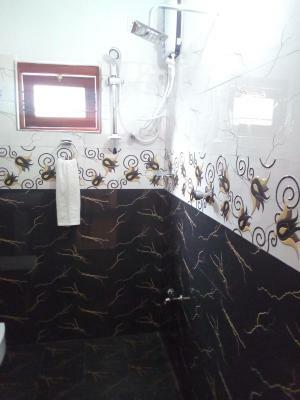 With a private bathroom, rooms at Yaluwa Tourist Rest also provide guests with a garden view. The rooms include a desk. Kuttam Pokuna, Twin Ponds is 10 km from the accommodation. Cet établissement a également été bien noté pour son excellent emplacement à Anurâdhapura ! Les clients en sont plus satisfaits en comparaison avec d'autres établissements dans cette ville. Cet établissement a également été bien noté pour son excellent rapport qualité/prix à Anurâdhapura ! Les clients en ont plus pour leur argent en comparaison avec d'autres établissements dans cette ville. L'établissement Yaluwa Tourist Rest accueille des clients Booking.com depuis le 28 oct. 2018. À quelle période souhaitez-vous séjourner dans l'établissement Yaluwa Tourist Rest ? Important - À lire L'établissement Yaluwa Tourist Rest accepte les demandes spéciales. Ajoutez la vôtre à la prochaine étape !